I'm a huge Android user. I have my HTC One Smartphone and my own Nexus 7 tablet. In addition, my department uses Nexus 7 tablets for mobile access and some of our schools have Nexus 7 and Nexus 10 tablets. Gmail - email is the main way I communicate with my staff, vendors, and school admin and teachers. It is indispensable for me. I can easily check all of my email accounts (4). Calendar - my calendar is so busy that I would be lost without this. What's nice is that my personal and work calendars are overlaid for easy viewing. Drive - access and create/edit/share documents anywhere. You can even view and edit none Google Docs files using QuickOffice (see below) that Google bought and integrated into Drive. Evernote -is my favorite, and most used resource. I had all of my lesson plans, resources, web clippings, lesson schedule, meeting notes, misc. notes, task lists, reference materials and much more on here as a teacher and I now use it for all of my notes, meeting notes, references, project planning and more . I can access my notes anywhere and can even share notes with others. Google+ - this is how I connect with other educational, technology, and edtech professionals. Easy to use, great for conversations and tons of great people and communities on here. Edmodo - this is a major component in our school district and used widely by teachers and staff. It provides some great features and resources and is free. Student SIS System - access student information anytime. Teachers can also use it to take attendance and as a roll book during a fire drill. Splashtop - I use this to access my desktop and/or laptop at any time from anywhere. 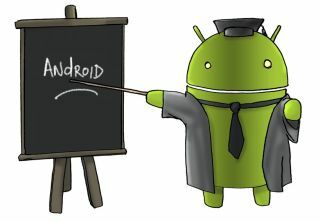 It allows me to do anything on my Android device, including running Windows apps and accessing all of my files. QuickOffice - access, view, and edit Word, PowerPoint and Excel files.Free version comes with phone and can view documents. Pro version adds editing for a fee. Another feature of Android I love is the sharing. I can share from app to app with one click. Great for sharing resources with others.